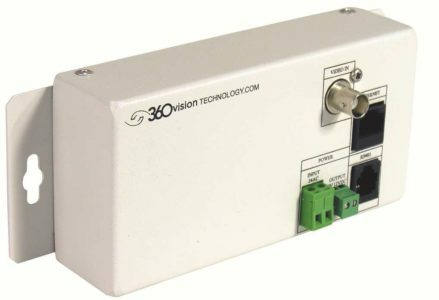 As the first step into IP to follow the latest security trend, 360 Vision have released their single-channel Analogue Encoder (CODEC). In a hybrid system, different technologies can exist within the same system. During the process of migration from existing analogue systems to the latest digital systems, a hybrid system is required as an interim solution. It enables existing components to be replaced step by step. One such interim step on the way to a purely digital solution would be the replacement of analogue video camera cabling with IP Network capabilities while still retaining the legacy analogue camera equipment. The 360 Vision Codec allows a cost-effective, upgrade path into IP based network systems with minimal disruption and cost.